The Washington Spirit acquired Aubrey Bledsoe on January 23, 2018, via trade from the Orlando Pride. 2015: Played in one game for NWSL club Sky Blue FC before joining Danish club Fortuna Hjørring on loan. 2016: Selected by the Orlando Pride in the 2016 NWSL Expansion Draft, and appeared in 1 game during the 2016 NWSL season. 2017: Started 11 games for Orlando during the regular season, earning two clean sheets and racking up 36 total saves… Earned a pair of NWSL Save of the Week honors, in Week 9 and Week 12… Joined Australian side Sydney FC on loan during the NWSL’s 2017-2018 offseason to compete in the Westfield W-League. 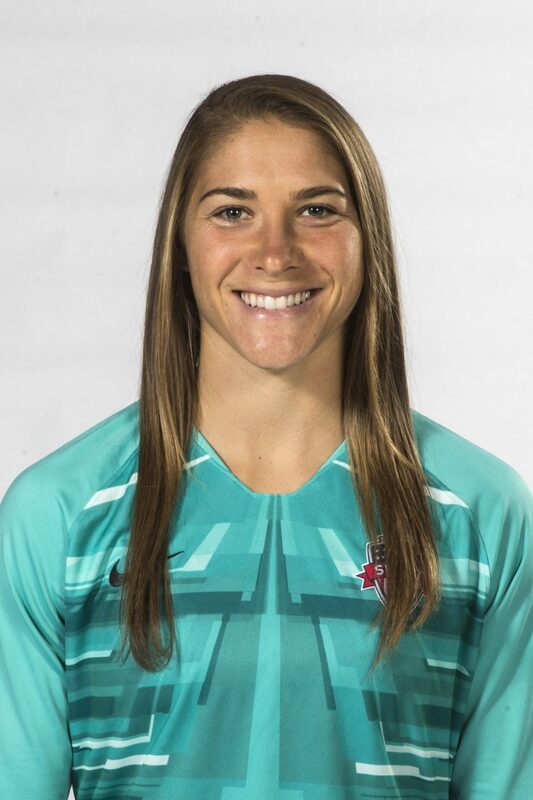 2018: Bledsoe finished her first season as a member of the Spirit with an NWSL regular season record 108 saves… She racked up four clean sheets on the season and made a career-high 10 saves in her Spirit debut in the club’s regular-season opener on March 24 against Seattle Reign FC… Bledsoe won back-to-back NWSL Save of the Week awards in Weeks 5 and 6, and was named the NWSL Player of the Week for Weeks 11 and 12. 2010 (Freshman): Started all 24 of Wake Forest’s games as a freshman.